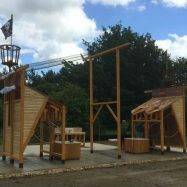 The first of the Pirate Themed Waters War fleet from Innovative Leisure have anchored their ships! 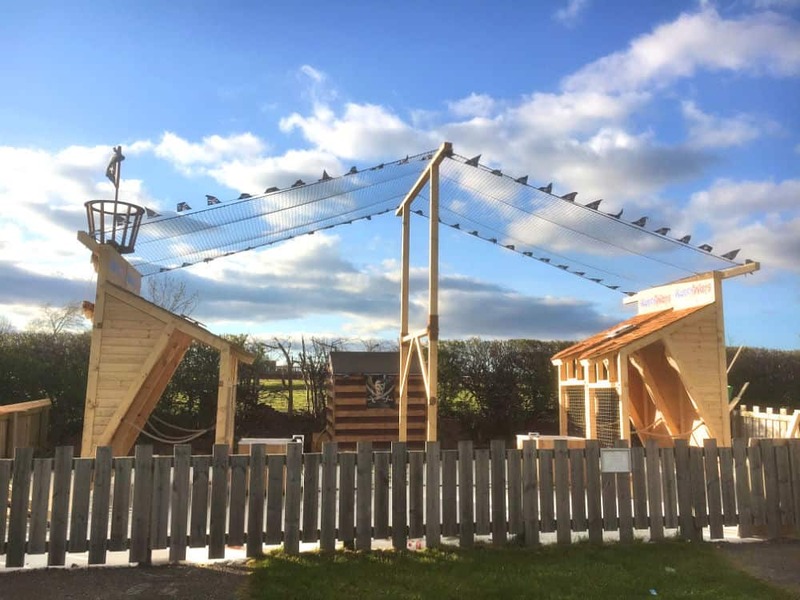 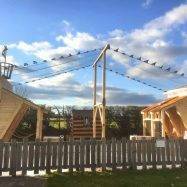 Harboured at Adventure Valley, Durham and Milton Maize Maze, Cambridge, the new Pirate Themed Water Wars docked just in time for the Easter Holidays. 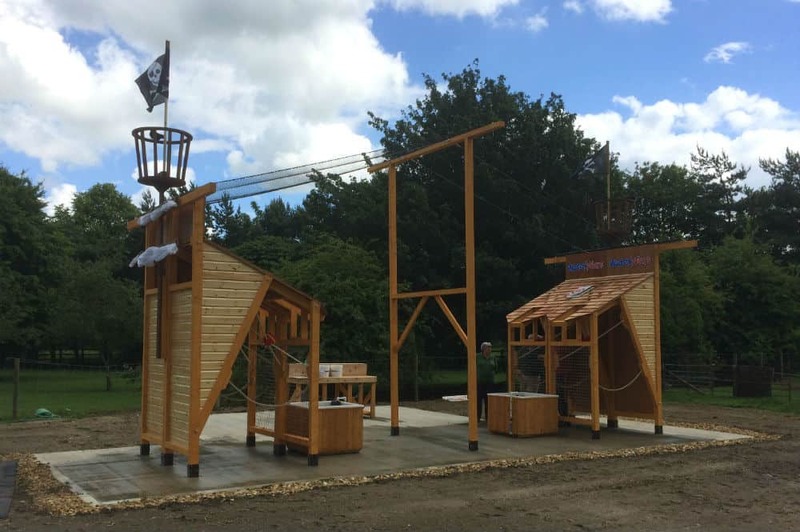 Adventure Valley’s new addition fits within the parks theming and is positioned alongside their existing pirate galleon. 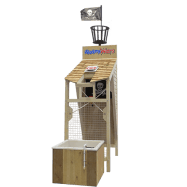 Consisting of 4 battle stations constructed from a combination of scotch pine and cedar. 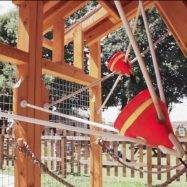 Each station can hold up to 4 able sea-adults and children – 16 in total. 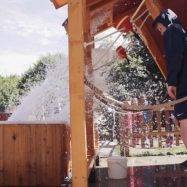 With the Depth Charge upgrade, as seen at York Maze and Bocketts Farm Park, the battle to rule the seven seas has gotten even wetter! 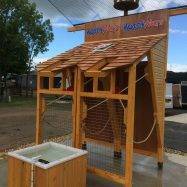 Mounted on the roof between the twin stations is a target, the opposing crew need to aim and fire their water balloon launchers with precision. 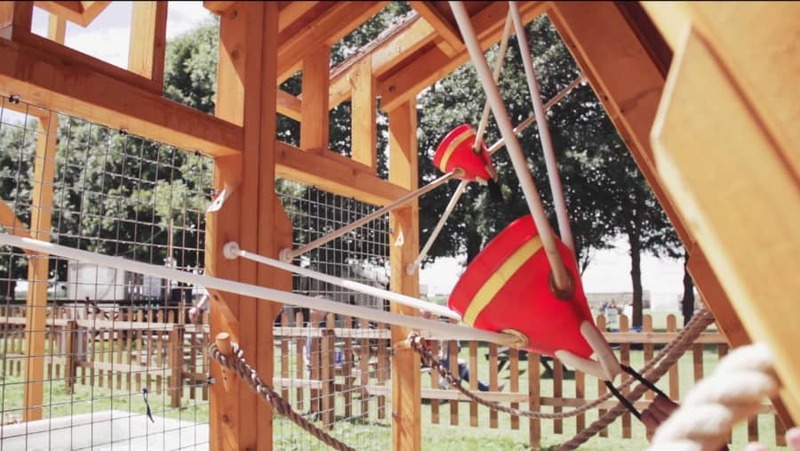 Once the target is hit a sensor sends a signal to the water tank in front of the opposing station and triggers the Depth Charge. 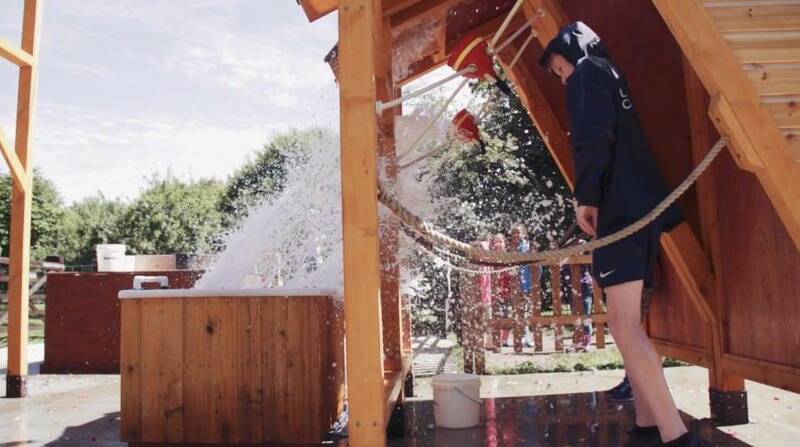 This sends a wave of water up into the air towards the adjacent crew drenching them in the process. 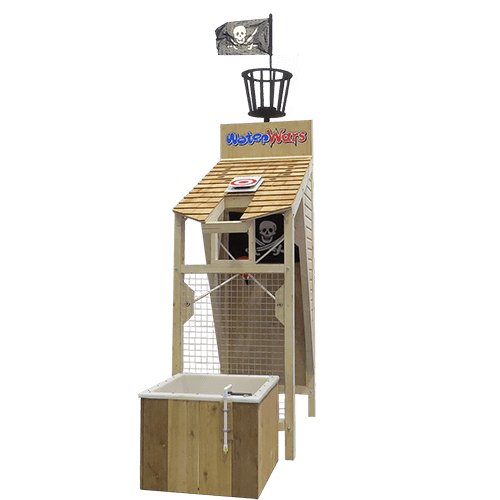 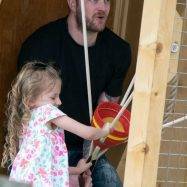 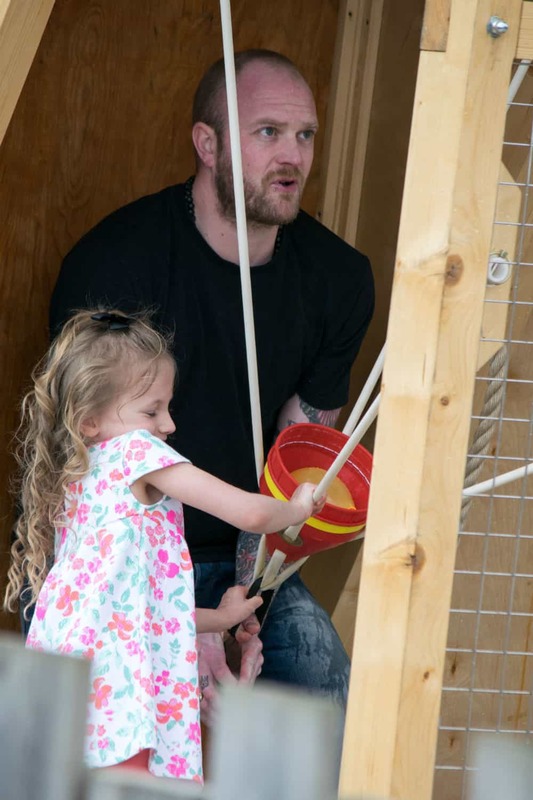 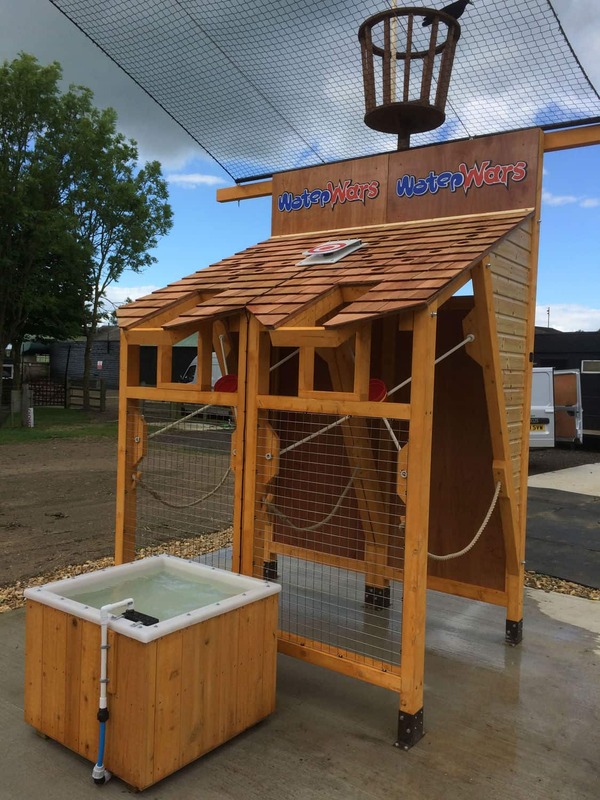 The Water Wars range has proved popular at a variety of attractions as it is the perfect activity for the whole family to take part in. 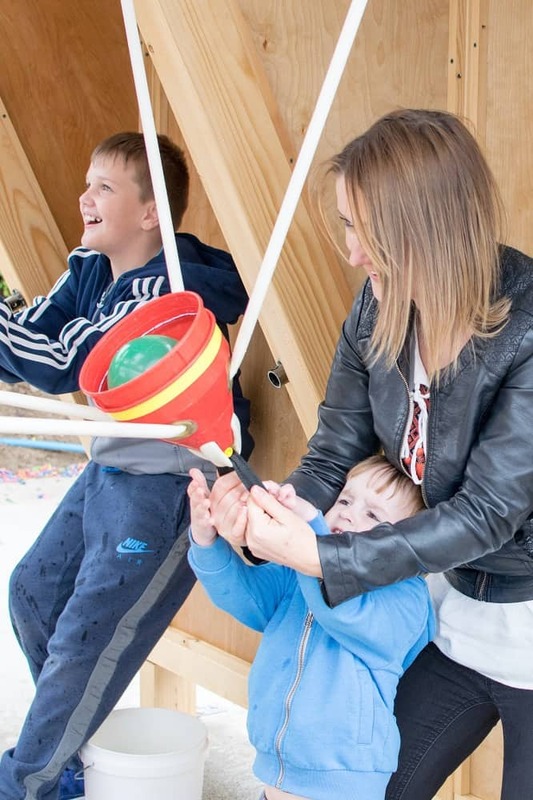 With Water Wars parents don’t just have to watch from the sidelines, they are able to get stuck in and play alongside their children. 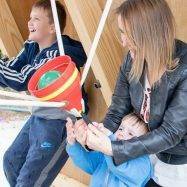 Spectators have a great time too!